A beautiful set of terraria from Jen Pearson. 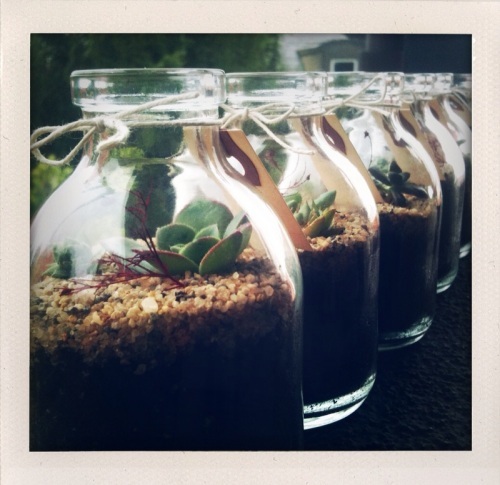 A group of identical terrariums would look very dramatic lined up on a mantel or counter top. Great idea--thanks for sharing the link!